Joe Tomblin, born July 31st, 1921 in Burnsville, West Virginia where he went to school and graduated. Left home and went to work in the ship yards at Baltimore, Maryland. He came to Kansas City in 1946 and went to work at Nu-way drive-in at Meyer and Troost where he met Hester Lang, they later married in 1947 and had three sons, Tommy Joe, Kenneth Lee and James Arthur. They also had one daughter Carol Ann Westbrook. They have 7 grandchildren, Rachel, Dana, Tina, Tommy Jr. Tami, Diana and Pam as well as great grand children. 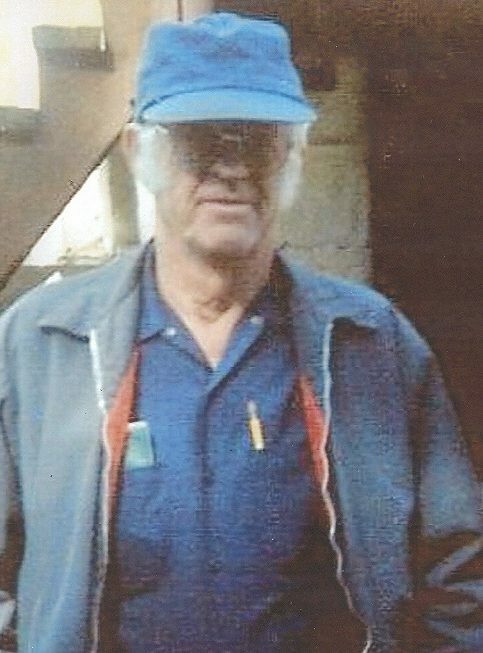 Joe retired from Sante Fe Railroad as a diesel mechanic in 1986. He enjoyed, working puzzles, going to auctions, fishing, boating, working on vehicles Traveling to West Virgina to visit relatives and Beaver Lake (Arkansas) where he and his wife owned lake property. He was patient, kind, generous, and always there to help those in need. So sorry for your loss. RIP Uncle Joe, maybe you'll Jim in heaven. My condolences to the Tomblin family at the loss of your dear loved one, Joe. I share your sorrows, and I pray that you will find your comfort in the God of all comfort, even the Father of our Lord and Savior Jesus Christ. The grace of our Lord be with all of you. Even though much time has past since we have seen Uncle Joe and the family. The Mick family still has fond memories and our deepest sympathies are with you all. Rest in peace Uncle Joe and sorry for the family's loss.